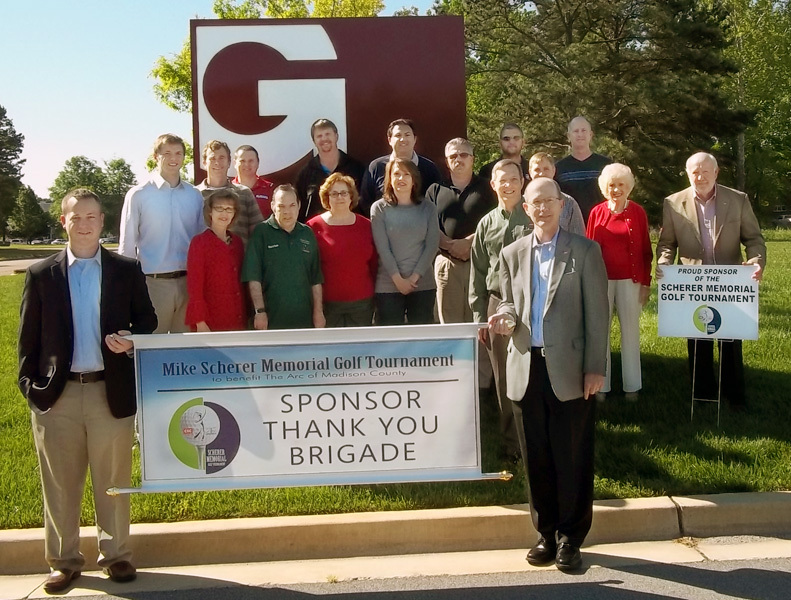 The Arc Thank You Brigade visited Garver's Huntsville, Alabama office to express appreciation for helping sponsor the 13th Annual Mike Scherer Golf Benefit, which is April 20. The memorial golf tournament is The Arc of Madison County's single fundraising event, and the tournament has raised more than $2.2 million to benefit the organization. The Arc of Madison County offers adults with intellectual disabilities habilitation, residential, therapy, and supported employment services. In the past, donated funds have been used to support the Arc's services and operational needs, including facility renovation and construction, vehicle purchases, client nursing services, equipment purchases, and music therapy services for children.